When Hubie Brown took the Atlanta Hawks head coaching position in the NBA, he knew he was in trouble. 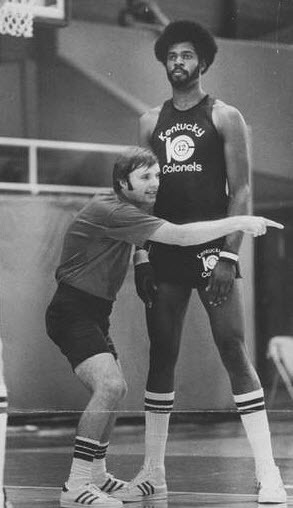 He had just coached the Kentucky Colonels to the ABA championship. The ABA was viewed as inferior to the NBA. The best players in basketball were in the NBA. When Hubie first saw the Hawks players he realized his team in the ABA had better players than his new Atlanta team. His concern was obvious. How could Atlanta compete in the best league in basketball with players who were not nearly as good as the team he had just coached in the lesser league, the ABA? I can still recall Hubie telling us this story. Not knowing how to approach the upcoming season, he took a vacation to Florida and walked the beach trying to decide how he would approach the dilemma in front of him. He came to a conclusion that sounded crazy when I first heard it but did make sense the more I reflected on it. His conclusion was how many games in the upcoming season could they lose by 10 points. He was certain they did not have the personnel to win in the NBA, so his goal became how many games could they lose by 10 points or less, because if they could keep the losses under 10, they would be accomplishing a very important concept in NBA basketball. They would gain the respect of their opponents. It was a simple concept. The other teams in the NBA recognized what Hubie knew. They also knew Atlanta simply did not have the caliber of players needed to be successful in the NBA. However, if Atlanta could fight and claw and keep the games within 10 points, then their opponents would come to respect the effort put forth by the athletes and the coaching staff. The Hawks did keep the games close that first year and in the next few years they were winning 50-plus games per season and making the playoffs. There may be a great lesson for leaders in “losing by 10.” When we start an endeavor, we most likely will have to start small. And that is fine if our start is done well and gains the respect of those whom we are serving. When we began our basketball clinics at St. Francis, we had only 50 coaches in attendance. But because we tried to make the clinics valuable to the coaches by giving them quality booklets on the fundamentals and the strategies we were teaching, they came to respect our clinics. Our only advertising was by word-of-mouth from the coaches and eventually the clinics attracted over 200 men and women. We had a fundraiser at St. Francis that we called Brown and Gold where we brought a noted sports figure to our campus for a dinner and a presentation. When we began, we had 250 people in attendance. We eventually grew that program to an average of close to 600 people coming annually. We were blessed to have Al McGuire as our first speaker after Marquette had just won the NCAA championship and UCLA’s John Wooden as our second speaker the year after his retirement with 10 NCAA championships under his belt. Needless to say, these two outstanding coaches gave our program immediate respect. Mike Ditka brought over 800 people to one our later nights. As leaders begin new initiatives if they can keep Hubie’s lose by 10 concept in mind and begin with a quality program that earns respect, I firmly believe growth will come.